Neymar has come under criticism since the game against Liverpool on Tuesday and it's no surprise to hear Joey Barton call him a disgrace. 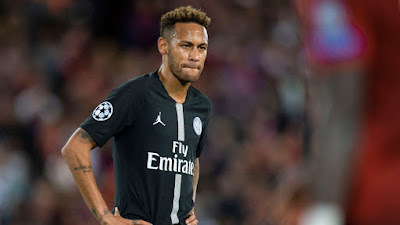 Many would conclude Neymar was just a passerby in the game against Liverpool and practically did nothing to help the team during the game. Joey Barton is now the latest to criticize the Brazilian display on Tuesday and many won't be surprised to read Barton's comment as he has once called Neymar an overrated player before.